Get TEN of My Most Popular Books in PDF for 40% Off! For 10 Days Only! Get This Amazing and Life-Changing PDF 10-Book Package For 40% Off and I'll Throw in The Fasting Masterclass (a $47 value) and Other Bonuses, Free! In This Dynamic Package (Available Only until Wednesday the 20th of January. At Midnight), You'll Receive a Powerhouse of Detailed Information that Will Instruct, Motivate and Inspire You to Lose Weight, Detoxify and Reach Unprecedented Levels of Health, Wellness and Vitality. 2016 is The Year of Your Health Revolution! "Help me maintain my strength and motivation"
Fasting has helped me break through "barriers" that I thought for a long time were not possible. Your encouraging updates help me look at the larger picture and help me maintain my strength and motivation. "I lost over 50 pounds"
I lost over 50 pounds with various combinations of water and juice fasting. I reduced my blood pressure from a dangerous level to a healthy level. "I have lost 5kgs so far"
Hi Robert, I am new to your program and although it is really hard, I struggle to get through a day, I do get through. I am encouraged by the Spiritual aspect of fasting which you mention also. I am still working hard and though sometimes I fail, I get up and start again. I have lost 5kgs so far. Thank you. HI ROBERT, I'VE NEVER FELT BETTER IN MY LIFE, THAN WHEN I'VE FASTED. I HAVE DONE TWO 15 DAY FASTS, AND AM STARTING ANOTHER. WM. BRENT PAGE YEMASSEE, S.C.
"I fit into a smaller, and beautiful wedding dress"
In the past, I had fasted a week at a time ate only on Fridays. Lost a total of 40 lbs in 5 weeks. I fit into a smaller, and beautiful wedding dress. I just joined recently and I want to thank you for writing to me as promised and giving me information all the time. In my hour of need, I receive these notes and I receive strength and encouragement to endure, to start afresh, not to give up. I start all over again knowing that if others can do it so can I. When failing, and almost giving up, receiving your notes help me to realize there is yet hope for me. I have started all over again three times. Today I am determined to start again and this time to succeed. Thank you for all the reminders that I can do it and that I am not alone. "You have a passion for really HELPING people"
Hi Robert, I just wanted to sincerely thank you for all the helpful advice you have given me. I remember a time when I REALLY needed your advice, and what happened? I got a personal response from you in minutes that truly saved my night. Not only do you know what you're talking about, but you have a passion for really HELPING people and that is what I love. You encourage, you support, and you really CARE. I am now a healthier person, and the road to a better me was travelled with you at my side! I thank you so much for that! "I know now how to get to my ideal weight"
I have only been fasting for three days, but I cannot believe how effective it is. I lost 3.4 pounds the first day, and 2 pounds on the second day. I lost 70 pounds on my own within the last 2 years, but I was struggling to lose the last 20 pounds. This is fantastic,. I know now how to get to my ideal weight. It is the most effective method I have ever used, I can't wait to see my weight loss in the morning. I haven't been craving at all today. I think about other things, and play hearts online. The world better look out, because here comes a "knockout." Also, fasting is biblical; it healing the spirit, mind, and body. Thank you for the information you have shared with me. "Helped me free myself of being addictive to food"
Hi Robert reading your website really helped me in understanding what to expect the first two weeks. I like that you speak in real terms and it has helped me free myself of being addictive to food. Keep up your good work and encouragement. "Break the food addictions that lead to weight gain"
I've learned that fasting is not some crazy, psycho, and useless weight loss method. Thanks to you, I've discovered that fasting is probably the single best way to break the food addictions that lead to weight gain. "I could not have gotten this far and have the resolve to continue"
Hi Robert, I am an experienced water faster now and have reaped many benefits from it. I have never felt healthier, even though I am still a long way from my weight goal. This is my second long term juice fast. I have done many week long water fasts. I have a love hate relationship with fasting. I am addicted to the feeling of fasting and the sense of accomplishment. The downside is my impatience. I require instant results and fail/quit when I don't get this. I have made this past fast a self improvement inside and out. I have dropped 25lbs. I feel great and I reflect every night on the actions I did in my day. I keep a thankful journal and a list of things I like of me. I feel like this journey has just made me happier. I am currently on day 27 of a juice fast with 2 weeks left followed by a month of raw foods only. "I really feel so much better"
I've learned how to get motivated not only to lose weight but to be healthy. "Motivated to lose the extra weight I've carried all my adult life"
This is only my second day of my very first fast, but with your site I feel so strong and motivated to lose the extra weight I've carried all my adult life. Thank you! "I lost 23 lbs and have fasted one day per week since and have not gained it back"
Robert, Thanks for sharing your site and your experiences. It is good to know that there is a great deal of company out there doing this. I loved your idea about fasting a day a week, it really does help maintain your weight loss even if you are not as "good" as you should be about what you eat. I went on a 16 day water fast (that was all I could do). I lost 23 lbs and have fasted one day per week since and have not gained it back. It has been 5 months so far. The good thing about doing this is that you get to know your body much better and can tell even by how something feels on your tongue if it is good for you or not, it helps you to want to eat better. Thanks again for your information and support. "I lost 23 pounds in 8 days going from 279 to 256"
Fitness through fasting was a life savoir for me when I finally decided to fast. I read through the resources often. I Blogged my 8 day water fast and Robert was always encouraging leaving comments. I lost 23 pounds in 8 days going from 279 to 256. I had to stop after 8 days because of no gallbladder and the bile leaking problem but I went straight to juice fasting and am still juice fasting. Now, I'm getting all the information I need right here and praise God for it. Greetings! If you have arrived at this page, it's because you have a desire to improve the quality of your health. You want to reach higher levels of wellness and vitality; you want to lose weight and live a long, happy (and healthy) life. Is my assumption correct? Helping you to transform your life. Because of your kind and MUCH-appreciated support, Fitness Through Fasting will be NINE years old in February. As a way of saying Thank You, I've decided to combine the PDF version of 10 of my most popular books and offer them as a package at a 40% reduction (based on the price of the Kindle versions sold online). If you take the time to read and put this information to practice, you will transform your health. Furthermore, I'll give you my multimedia Fasting Masterclass as a free bonus. This package, available until midnight December 1st, is all about improving yourself, being the very best that you can be. These days, we have to be ready for whatever comes down the pike... we must strive to be in shape and healthy so we can do what it takes to be there four our loved ones, right? This package is a quantum leap in that direction. The time for action is NOW. How to Lose 30 Pounds (Or More) in 30 Days With Juice Fasting:Outlines a plan that can help you to slim down and detoxify faster and more thoroughly than any other method know to man. How to Lose 40 Pounds (Or More) in 30 Days With Water Fasting: Covers water fasting from a to z. I've thrown in the kitchen's sink to make sure that you have all of the information, tips, tricks and procedures needed to go the distance and achieve your goals. The Intermittent Fasting Weight Loss Formula Presents a powerful five-prong intermittent fasting system which helped me to overcome obesity, lose 100 pounds and, more importantly, keep it off for more than 10 years. The Permanent Weight Loss Diet Provides detailed instructions on how to launch a simple yet very effective eating structure that can solve your weight loss issues. This is a perfect diet to follow AFTER fasting. How to Break a Fast (Appropriately) and Keep the Weight Off Take you through a 30-day schedule on how to break a fast correctly, so that you can learn to adopt healthier eating habits and keep the weight off for good. How To Lose Weight (And Keep it Off) By Reprogramming The Subconscious Mind Presents a detailed written and audio system of statements and affirmations that, when used as indicated, will help to transform your entire way seeing, thinking and behaving in relation to food and eating. Mental Strategies to Defeat Diet Hunger and Junk Food Cravings Can you imagine yourself capable of facing hunger and cravings and NOT give in to them? Can you imagine yourself sticking to your diet month after month WITHOUT delays, false starts or interruptions? Well, helping you to achieve these goals (and many others) is exactly what this book is all about. Lose The Emotional Baggage: Transform Your Mind & Spirit With Fasting Takes you step-by-step through my Ultimate Freedom Formula, which helped me to find healing from more than 20 years of crippling depression and binge eating disorder. The 10-Day At-Home Colon Cleansing Formula A simple yet very thorough holistic remedy that helps the body expel toxic buildup and debris from the colon, freeing the body of putrefied waste that can, in some cases, hitch a ride in a person's body for months... even years. Bug Off! A 30-Day Parasite, Liver, Kidney Detox & Weight Loss Plan Explains a cleansing diet that can produce 20 pounds (or more) of weight loss in one month, as well as a three-phase plan to destroy parasites and detoxify the liver and kidneys. But, as I mentioned earlier, this is not all! To make sure you're getting at least three times the value, I'm also throwing in the Fasting Masterclass- FREE. What is the Masterclass, and what's it all about? I'm glad you asked! The Fasting Masterclass is an audio, video and PDF extravaganza with more than six hours of training in six modules. If you are interested in changing your life and health through fasting, cleansing and a proper diet, then this package is a MUST and will likely answer most (if not all) of your questions. I've taken all of my experience during the past two decades and jammed it into six modules, most of which are over one hour in length. With each module you get a video (my desktop point-by-point presentations), the .mp3 audio of each lesson (great to load into mp3 player so you can take me on the road!) AND the PDF of the presentation itself. The videos are available for download in MP4, .AVI or mobile .MV4 in case you wish to view it in your smartphone or tablet. Some modules also come with various additional PDF homework reports related to that week's topic. The Fasting Masterclass itself comes with its own terrific bonuses, including the PDF reports How To Fit Exercise Into Your Busy Schedule and the companion to Book #6 listed above How To Use Your Subconscious Mind To Aid You In The Fasting Process And Keep The Weight Off. So you get the 10 books in PDF format, the Fasting Masterclass as a free bonus, AND the other reports that I just mentioned. All in all, you receive a wealth of invaluable information that will support and enhance your fasting, dieting and health-improvement efforts. After a lot of thought, and because this is the first time I've offered my books in a package, I've decided to give you everything for just $18. If you purchased ALL of my books at Amazon in digital format, that alone would be $32. So today you get them all for a 40% discount. And the Fasting Masterclass, which sells for $47, you get free. That's nearly $80 in life-changing materials for only $18. I believe very strongly in overdelivering quality and value. And I feel that at this low price pretty much everyone can have access to this powerful content. I'm giving you a very large amount of valuable information that can literally change the course of your life - IF you are willing to work at it and remain committed to losing weight and improving your health. I want you to be totally blown away so, in the future, if I offer you any other products I've created, you'll be much more likely to say yes. And I want you to know that your support means more to me than you can imagine because it allows me to continue with my work. To be sure, this is a labor of love. I want to help you experience the joy of having a healthy, vital body, and I feel this is the best way to do that. But remember, this package is ONLY available until until Wednesday the 20th of January at midnight. After that I will take down this page. The doors will be closed. 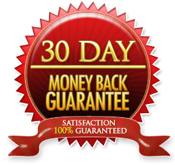 By the way, this package guarantees your satisfaction or your money back for 30 days. If, during this time, you are unsatisfied for any reason, or no reason at all, just contact me and I'll still give you back every penny of your investment. But I have put my heart and soul in these books and videos. I am certain that you will get a LOT out of all of this material. if you have any questions, or if I can be of service in any way, please to do not hesitate to Email Me. You can also visit my Amazon Author Page if you are interested in my other titles. May God bless you richly this near year and always, and may all of your dreams come true and exceed all of your expectations!